← Now, direct from Washington, D.C. If you’ve seen the movie Sideways, you’ve seen the Santa Ynez Valley, a picture-postcard place about 40 miles north of Santa Barbara that is, yes, full of vineyards and now, since the movie, people going to wine tastings. 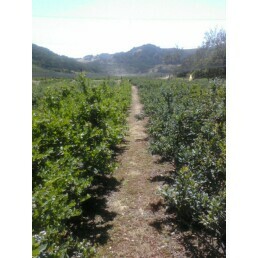 I spent most of Saturday picking blueberries, raspberries and strawberries thereabouts, and then went to Los Olivos, a picture postcard kind of small town where everything costs about $1,000, just to start. Even so, it was a picture postcard kind of California day, and although I do not favor blog posts that just tell everyone where you went today, as if they should care, this day trip was special enough that I thought you might get a contact high — or at least a serene smile — out of some of the pictures my cell phone took along the way. 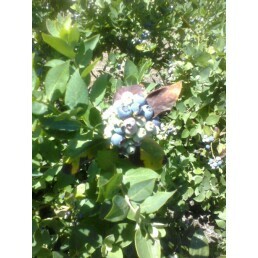 The blueberry fields and flowers explain themselves, I think. 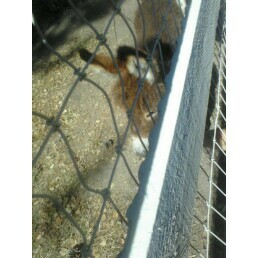 The miniature donkey was just too cute to leave out of the mix; he was at a place that offers miniature donke y rides but was, to my kids’ dismay, closed Saturday. 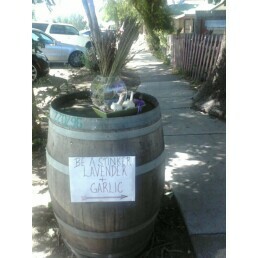 The barrel and sign advertising garlic and lavender hail from Los Olivos. 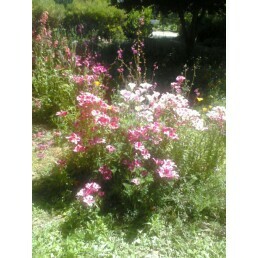 Yes, it’s the kind of place where lavender is sold; there’s a lavender farm in the vicinity.